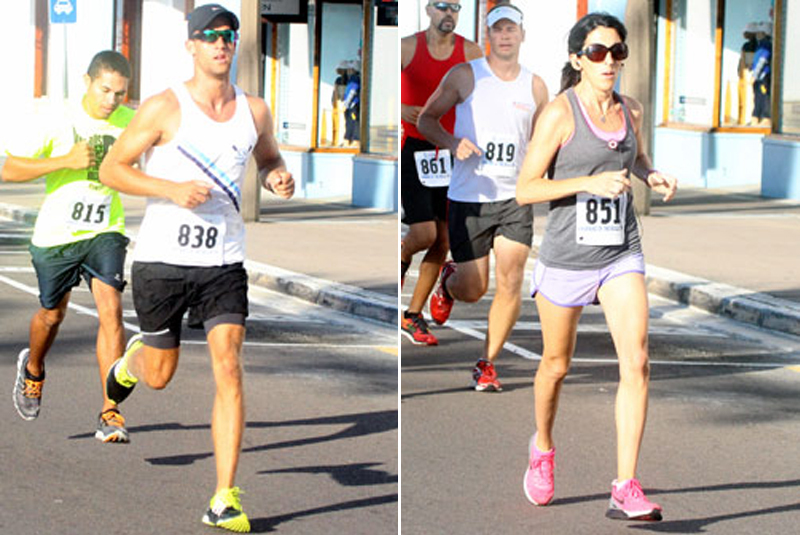 Christopher Hands and Laura Knox-Clingerman are the 2015 Running of the Bulls Champions following racing on Sunday morning [Sept 13]. With 124 runners going to the start line, Hands out legged the Bulls to record a time of 18:26, Giuseppe Guglielmucci was second recording a time of 19:55 and Jahmai Lottimore was clocked across the line in 20:37. Knox-Clingerman was 8th overall across the line with a time of 21:56, Martina Olcheski-Bell was the second female finisher and 10th overall with a time of 22:13 and the third female finisher was Stepanka Sprincova who was 13th overall clocking 22:28.